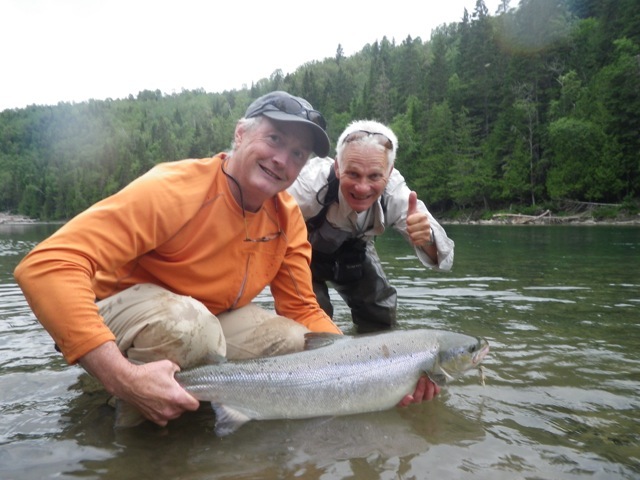 Larry Garlick with his first Atlantic Salmon, Congradulations Larry. 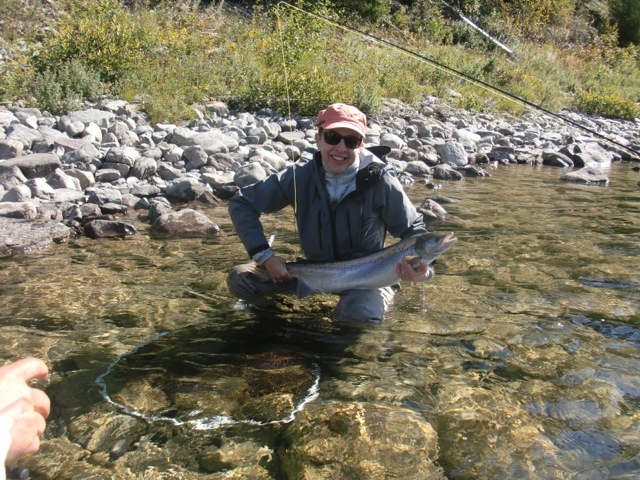 Camp Bonaventure regular Elaine Landry with a nice fall run salmon. 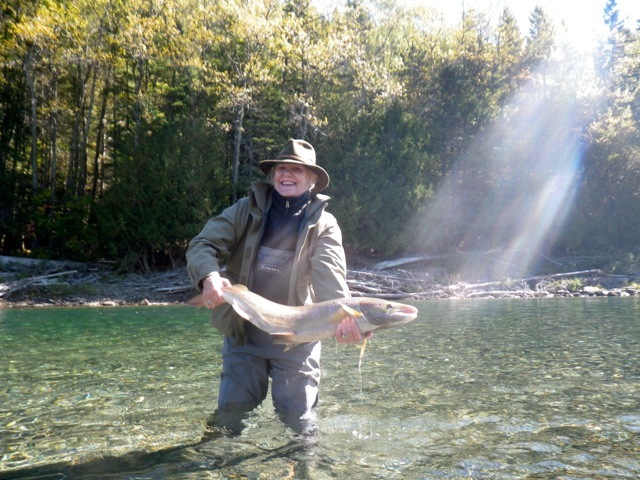 Elaine always fishes with us at this time of the season, her favourite time of the season. Sam Jewell likes to get out of the New Mexico heat in September and get his feet in the cool Bonaventure river. Isabel Jewell with a fine Fall salmon, way to go Isabel! One more wee until the 2013 season ends, it passes so fast.